There are multiple uses of a webcam. While being regarded as a recreational device which allows you to talk to your friends and family over video, there are a plethora of other uses of it as well. Not only it gets the job done, it basically allows you to see your loved ones over thousands of miles apart. The distance in between also opens room for other aspects as well. One of the major uses of a web camera for professional purposes is for online video interviews. There is a lot of best conference webcams for conferencing that does more than that so let’s check them out. The interviews could possibly for jobs and other purposes as well through which companies outsource their work. This way, you can be part of the organization and stay at home. Once the job application is successfully completed, through web cameras, you can also complete your training. These are some of the many uses of a web camera. Business conference calls on video is another major benefit of a web cam and it is being highly used by multinational corporations. From the educational point of view, you can attend online courses and attend lectures as well. These web cameras are what makes the internet and institutions globally. It’s an alternative mean to work and have fun remotely. Each of the above-mentioned factors contributes to how good a cam is. So we are providing you with some of the best conference webcam reviews. While some are best skype cameras oriented for home use, others are professional web cameras best suited for practical needs. So let’s check out some of the most high-end web cameras that you can buy right now. One thing we would like to mention before we begin is that each web camera review offers unique features. So be sure to choose the one that best fits your needs. Moreover, each product features a different price while the main purpose of it remains the same. With that said, you can choose any product you like that fulfills your need. Now, let’s get to it. First of all, we would like to speak about the design aspect of the Logitech ConferenceCam Connect. It is neat, premium and offers a unique design. It’s not your everyday circular webcam at a budget, it is much more. Moreover, it’s physical advantages are its wide field of view which is suitable for small group video conference situations. In terms of the camera functionality, it records 1080p video which also features auto focus out of the box. Apart from this, digital panning, zooming, and tilting are all part of the design so you can give it shape and direction as per your needs. In addition to this, the Logitech ConferenceCam Connect comes with a remote which lets you control various aspect of the high-end cam such as its settings while making a group call. We would classify it as the best webcam with remote controller. Another best feature is the inclusion of 360-degree microphones. This will allow the camera to pick up audio from all directions. So no matter where you are sitting, the device will be able to pick up audio from all directions. Now moving for its unique selling point, the Logitech ConferenceCam Connect features a built-in image projector which will definitely be useful in office situations. You can conference call on video as well as project images or slides on a nearby flat surface. You can also pair it with your smartphone vide NFC and Bluetooth for advanced options. 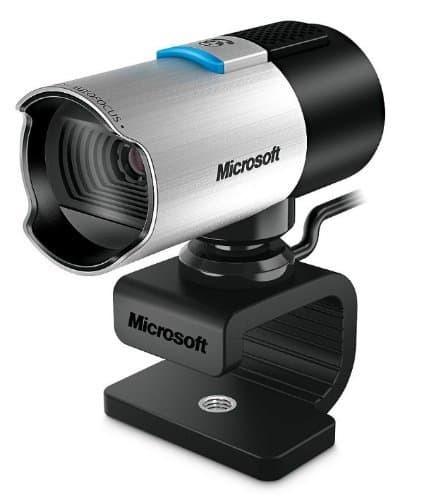 Now moving on towards a webcam for occasional use, the Microsoft LifeCam is the one you need. It does not necessarily mean that it can not be used for other things such as a Skype camera. Microsoft’s LifeCam is the best and inexpensive device that you can buy right now. As for the tech, it packs inside, it is equipped with a 720p HD camera in which it is able to record and stream at the same resolution. So whoever is watching you on the other end will see the live video with clear and sharp video quality. In addition to this, this conference camera features a noise-reducing microphone for critical situations which minimizes the background noise. Moreover, it also features TrueColor technology that produces bright and vivid colors every time. 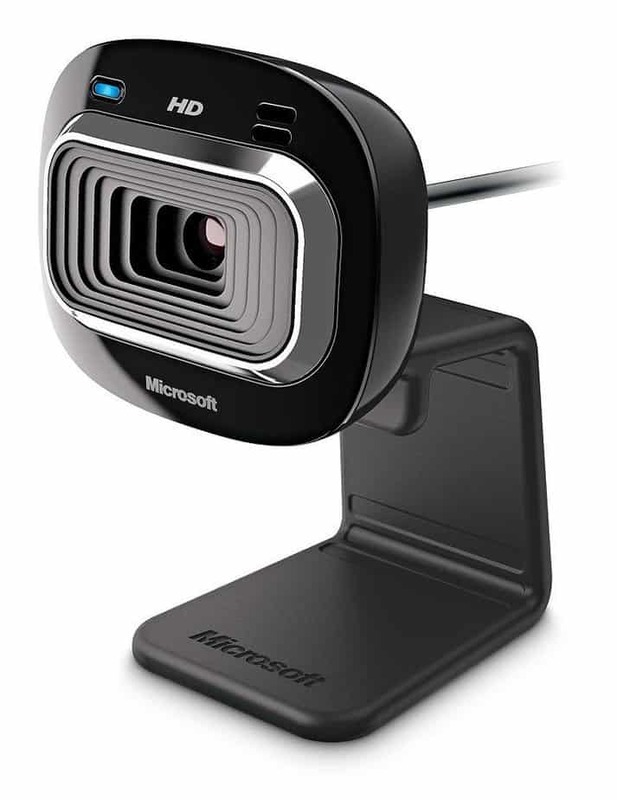 In terms of utility, the Microsoft LifeCam comes with a universal attachment base which lets you attach the conference camera to your laptop as well as atop your gaming station. The video is equipped to stream at almost 30fps so there are minimal lags. Do make sure that it requires your computer to meet specific requirements like 2GB of RAM, 1.5GB of storage capacity and an Intel Dual-Core 3.0 GHz CPU or higher. It’s one of the best conference cameras on the market for its price. 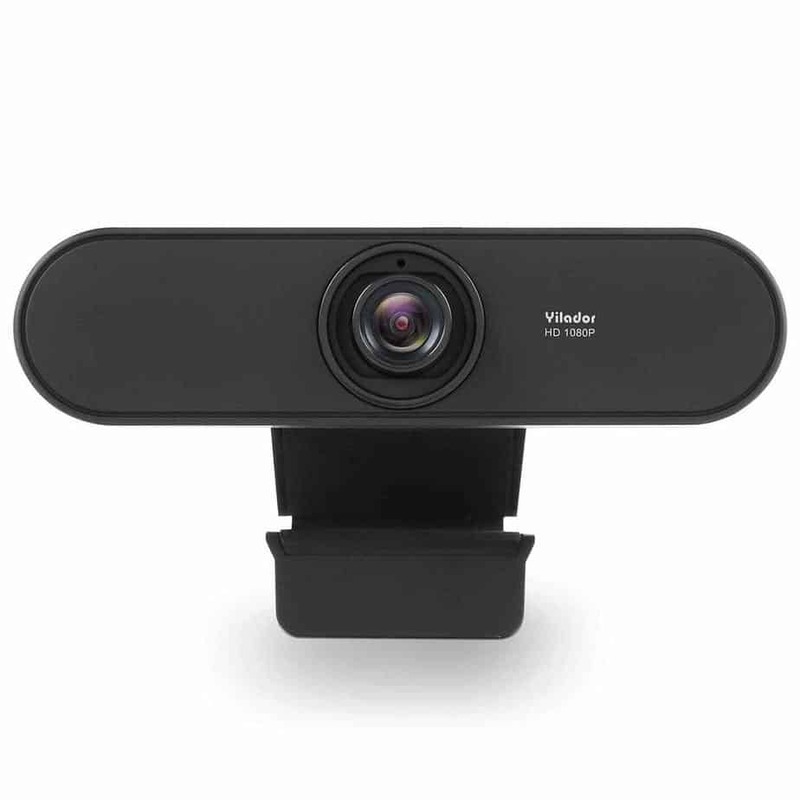 Another best conference web camera available at a budget price is the Yilador YL450. It provides all the necessary features you would want in an HD webcam and also more at just a fraction of the price compared to the flagships of the category. The Yilador YL450 streams and records video at a massive 1080p resolution at 30fps, the same as Microsoft LifeCam HD. This is one of the best conference webcam available at a budget price. Other than the hefty resolution, you will also get a noise-canceling microphone to help you minimize external interference. This feature makes it ideal for video conferencing where there are kids or even if you’re situated with ample traffic noise. The field of view is fairly wide and basically gets the job done. While these are basic features, these are also the only features you will need if you’re just starting on your streaming career. The design of the Yilador YL450 is pretty straightforward. The horizontal cylinder carrying the camera is mounted on a stand which looks quite appealing to the eye. If you’re interested, the Yilador YL450 is available to purchase on Amazon right now. If you’re looking to jump your webcam recording and streaming game, we know why you’re here. The Logitech Brio 4K is capable of doing something that less expensive web cameras cannot. That’s right, the Logitech Brio 4K is capable of recording video up to 4K resolution. While most people do not require this much resolution, it is mainly intended for professionals. To be fair, it’s not even priced as much. You have the option available to record video at 1080p at 60fps, which definitely will be crisp. It not only captures great video but also captures quality images. 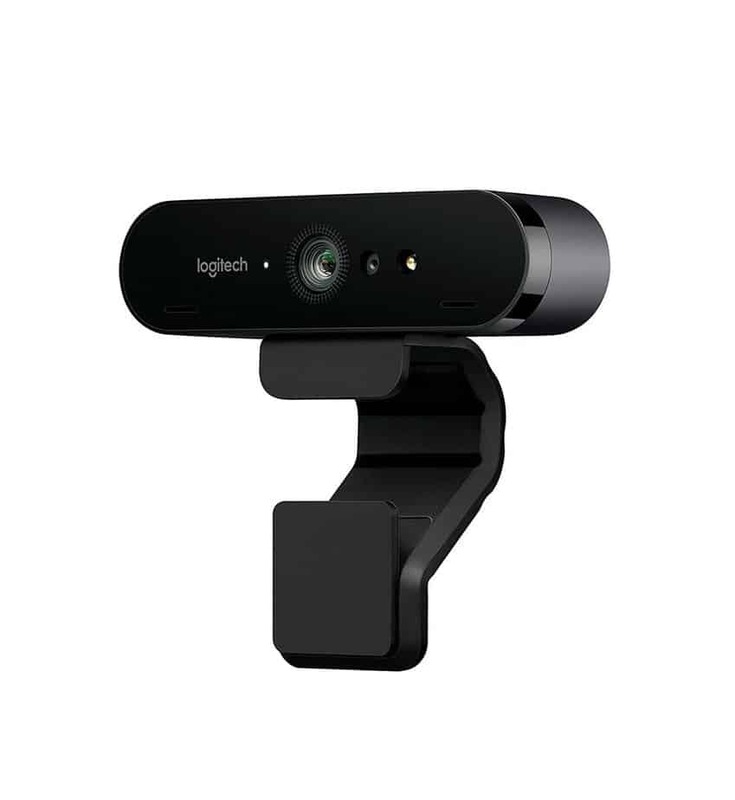 If you’re going professional and want to make an impression, the Logitech Brio 4K Webcam could be the best option for video conference as well. It features a clear motion and sharp focus. It also packs other prominent features like facial recognition for unlocking your Windows device and background removal. This removes any embarrassing feature you have at the background through Logitech’s custom software. There are some pretty solid reviews on Amazon on the Logitech Brio 4K, so be sure to keep it under consideration as well. It is available for purchase on Amazon right now below its listed selling price. While webcam conference video call is a necessity at professional times, live streaming also plays a major role when deciding on buying a web cam. Moreover, live streaming is gathering ample traction among newcomers and video quality definitely plays a vital role. In cases where you want to live stream on Twitch or even chat with your friends overseas, the Razer Kiyo has got you covered in all aspects. Lighting is an important aspect when streaming or even conferencing in certain situations. To tackle this scenario, Razer has attached a circular LED ring in front of the Razer Kiyo for assistance. However, if you’re already using external lighting then there probably isn’t any need for it and you can turn it off. The functionality is present if you need it though. While this may not be your average conference room web camera, it does fulfill the job just as good as other webcams on the market. The setup process is quite easier as there is no software involved for configuration or drivers. It’s mostly a plug-and-play portion that entices many users. the lighting can be adjusted using the knob on the camera itself so you’re good on that behalf. Razer Kiyo is now available on Amazon to purchase right now, so if you’re interested in getting it, be sure to do it now. Another addition to the software giant comes as Microsoft LifeCam Studio which features everything that you would want in a web camera. Even if you’re a beginner or a professional, you are covered in all aspects. The Microsoft LifeCam Studio is an easy go-to solution for all your video chatting, video conferencing and more. It features a great camera and the design is unique as well, providing a more studio-like appeal. The Microsoft LifeCam Studio is capable of recording video at 1080p resolution and live video calling for conference calls at 720p. Apart from this, the Microsoft LifeCam Studio can rotate 360-degrees, so you do not have to adjust yourself every time there’s miscalculation of angles. You can just tilt the Microsoft LifeCam Studio to any position and it will do its job. 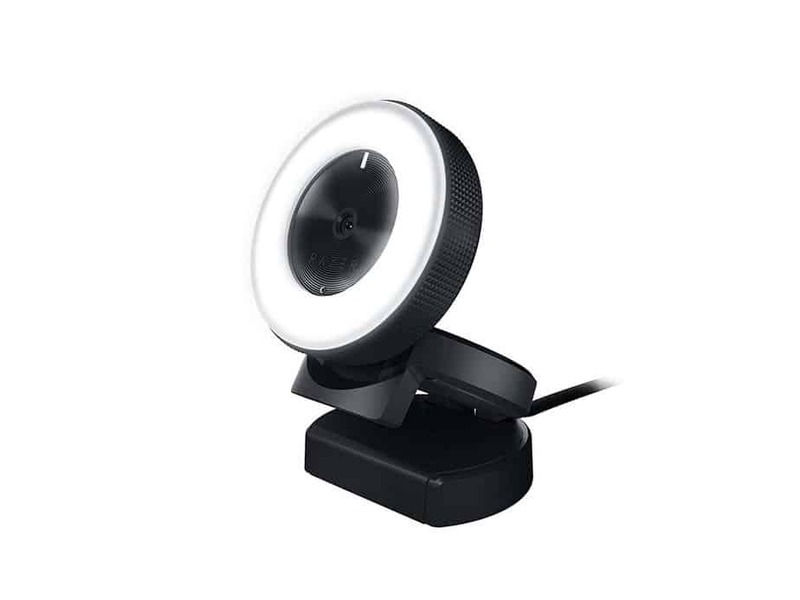 It can also be regarded as one of the best webcams for conference rooms in which you can turn and twist and rotate it to others in the room. This conference camera is quite unique and provides one of the best video recording experience with the company’s TrueColor system. It automatically adjusts the exposure so you appear bright on the other end. If you’re interested, you can purchase the Microsoft LifeCam Studio from Amazon right now. If you want an all-rounder, we would prefer you to get the Logitech C920. It can handle anything you throw at it with efficiency and quality. 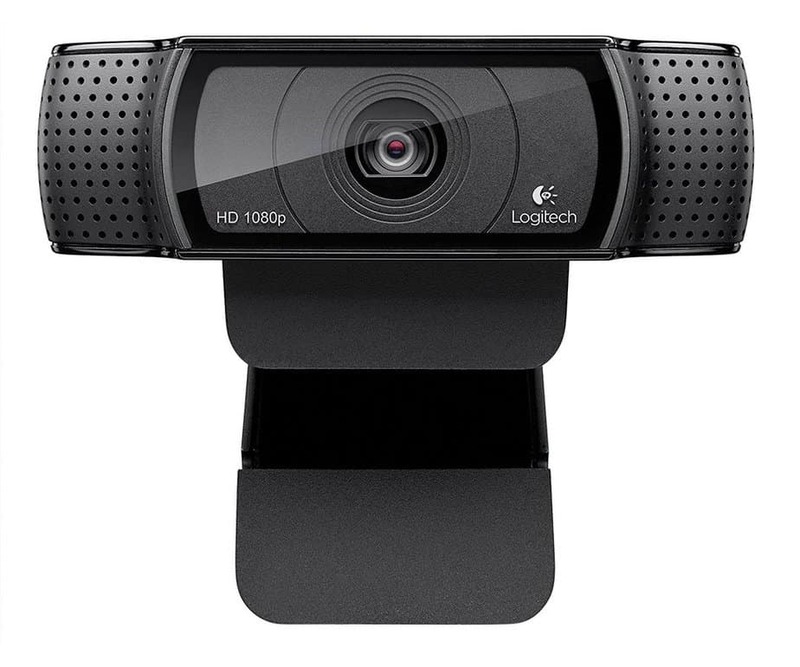 Whether its live video conferencing, the Logitech C920 can act as a business webcam. If you’re into video recording, the Logitech C920 can do so at 1080p resolution. Even if you’re into streaming at Twitch, this best web camera has got you covered. There’s a lot more that Logitech C920 can do. If you’re into video editing or applying filters to videos, the Logitech C920 has the capability to do so with built-in options. Just plug-and-play and you’re good to go using your favorite video conferencing or capture software. So there isn’t a hectic set up process involved which is always a plus. Needless to say, the reviews have always been positive for the Logitech C920 in terms of performance. It’s best for video conferencing as it provides a wide field of view and the video quality is obviously great as we have mentioned earlier. We would totally recommend you to opt for the Logitech C920. This is all for our list of best conference webcams, streaming and business cams. Be sure to compare the best one that fits your needs and price point. There are a lot of options available to you. Pick the one that suits the reason you want to buy it for. Which one is your favorite out of the list? Let us know in the comments.